What is gas assisted molding? Gas assisted molding, or what is also known as structural web, uses pressurized gas to improve the plastic injection molding process. Please watch the video and read on to learn more. What is the process used for? Gas assist is ideal for producing large panels. Strong parts with hollow sections such as handles. 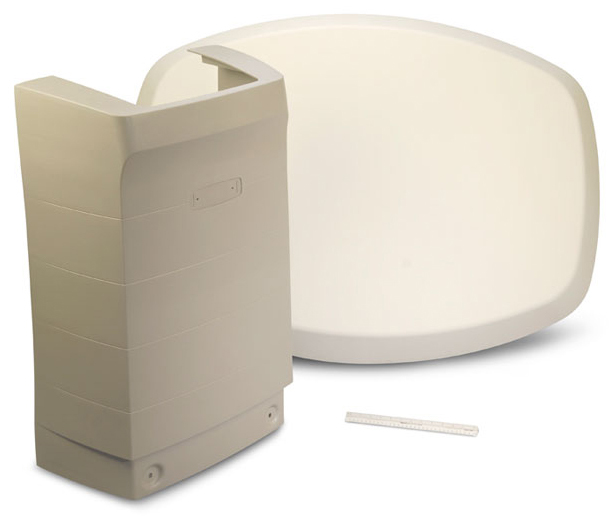 Large molded plastic parts that require attractive cosmetic surfaces with limited or no secondary painting operations. And many other large durable parts. How does gas assist work? Inlets and channels are incorporated into the tool and part design. During the molding process, pressurized gas, usually carbon dioxide, is introduced into the melt via specialized nozzles. This maximizes resin flow to the furthest extremes of the mold, and into difficult to reach sections of the part. Benefits include more latitude and options for introducing various component features. Your designs can include taller and thicker bosses, and ribs or wall sections. Sink can be significantly reduced and even eliminated. Surface cosmetics are improved by reduced swirling and flow lines. 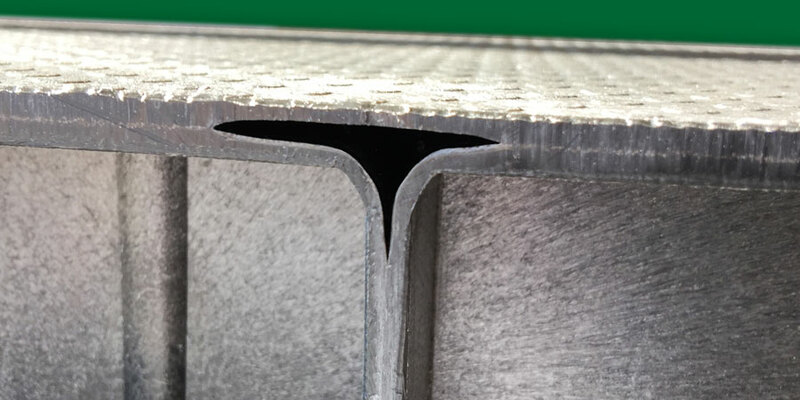 Hollow thicker sections can be molded. This produces a stronger part and more options for the product designer. Can eliminate finishing work such as coring out of thick sections. Other design, production and cost benefits. Reduces cavity pressure needed for fill and pack. Saves cost by allowing the use of a smaller press with larger platens. Parts previously requiring metal, can now be produced in molded plastic. Helps produce larger sized parts, or, multiple parts simultaneously. Saves on tooling costs by eliminating undercuts. And, aluminum molds can be used for even more savings. All in all, many parts can benefit from gas assisted molding. In the initial phase, the resin is injected into the empty mold cavity. The resin is coming in from the left of the article through an edge gate. In phase two, gas injection begins as the resin injection continues thus preventing a hesitation of the flow front. The gas is injected through a special gas pin. The gas pin design and gas pressure have to work together to prevent plastic back flow. In phase three, the resin shot is completely injected into the mold as gas injection continues. This gas injection keeps the flow front moving as the bubble forms inside the article thus stretching the skin to the end of the mold. 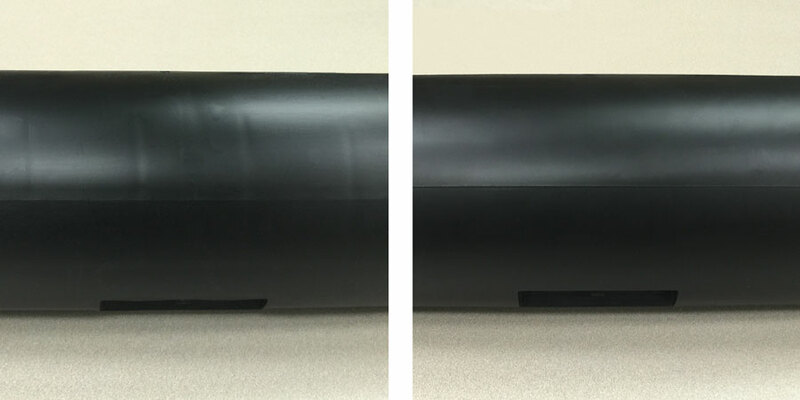 In phase four, the material has completely filled the article, the skins are fully established, and the gas bubble continues to be pressurized thus creating an internal cushion to compensate for resin shrinkage. In the final phase, the article has cooled adequately to establish skin strength so the gas pressure can be vented. The gas must be vented prior to mold opening to avoid explosion. The gas pin retracts to accomplish this venting action. Channel used during gas assisted molding process.